Valentine’s Day is just around the corner, and however you feel about the day and how it came to be, it’s a great excuse to treat your loved one - or yourself! We’ve been busy baking the perfect gifts that help you tell your special person that you love them. 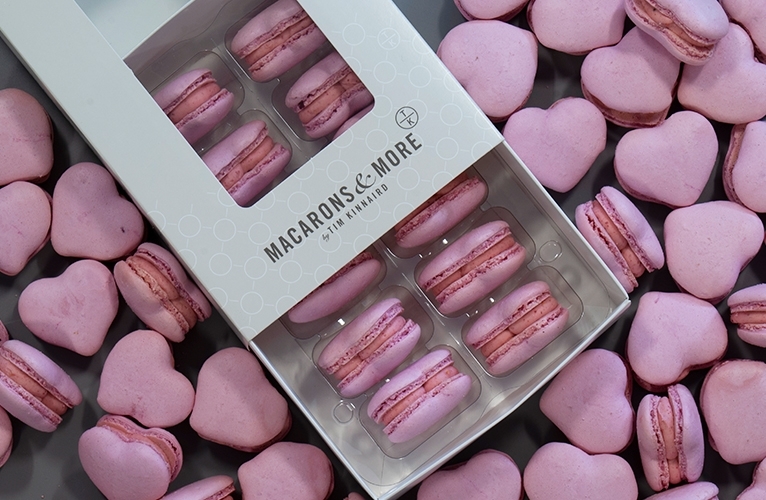 Heart shaped, raspberry flavour macarons are available online in a in a generous box of 12 – perfect for two to share! Don’t forget to include a special message so that your sweet Valentine knows who sent them! 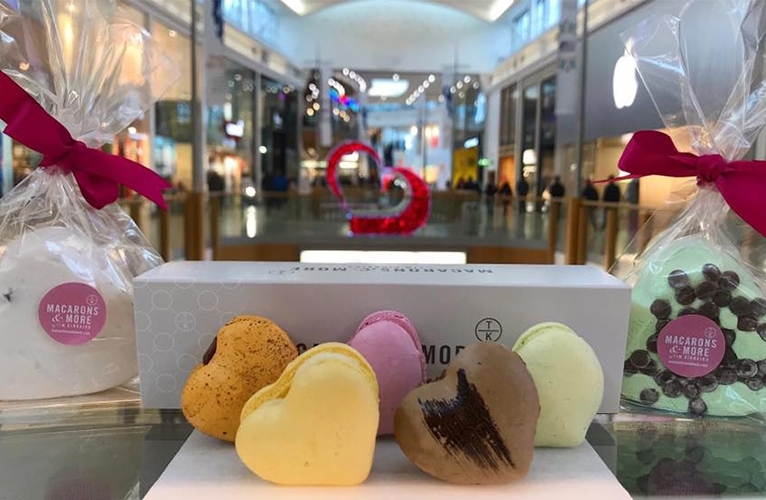 For budding cupids in Norwich, head to our shop in the Royal Arcade or into Chapelfield to find heart shaped macarons in our eight most popular flavours – as well as giant heart shaped marshmallows! These delicious treats are the perfect way to share the love, whether you’re finally going to tell your crush how you feel, brighten up your BFF’s day, spoil your partner or treat yourself! Follow us on Instagram and Facebook to keep up with our latest inventions and sweet creations! Some hearts are made to be broken... particularly our giant love heart macarons! Filled with white chocolate mousse and raspberry jelly, and with proffessions of love for you one and only! Swipe for a peek of the inside in all its glory!